12 assorted wooden ammo or weapon boxes. Dimensions : Length 23mm Width 13mm Height 9mm average. 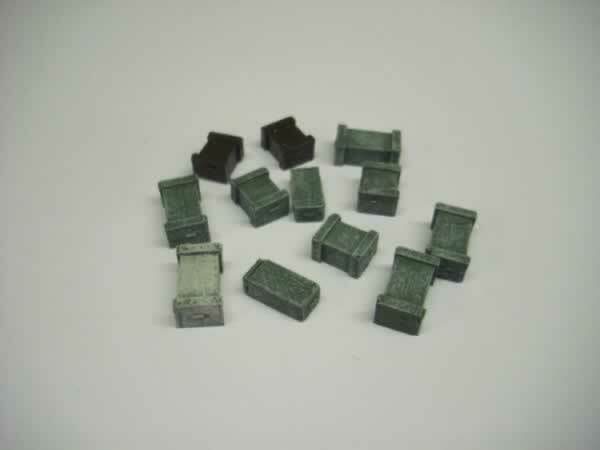 The castings supplied may differ slightly from the one shown.